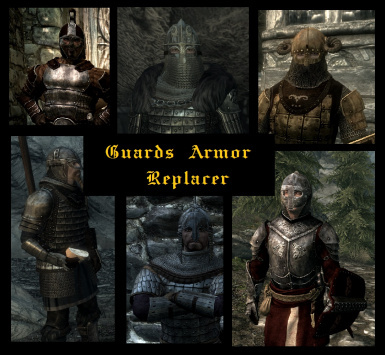 If you installed mod on an existing save and your guards are wearing parts of new armors and parts of old armors, select every guard in console and type resetinventory. If some NPCs are naked, also use resetinventory. 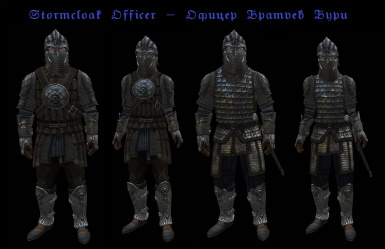 ESP should be loaded as low as possible and even below the Bashed Patch, otherwise guard's outfits will be screwed. 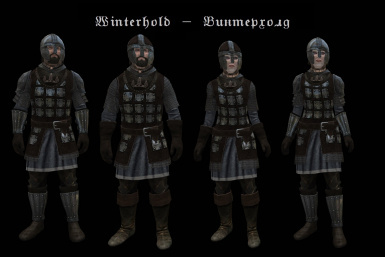 Immersive Armors is compatible, but you must use MCM to disable "Varied guard helmets" option. You also might disable Heroic Stormcloak Armor distribution. 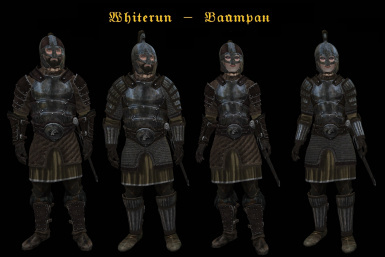 After the hold is conquered during the Civil War, guard armors stay the same. Location edits in the Full ESP are very small - mostly it's like "a guard armor thrown on the table in guard house". Does this work with master of disguise? So I have the mod installed, but during the opening scene of the game, I noticed that Ulfric's body is missing? He only have his head, hands, and feet/boots showing, the rest of his body is empty. So basically just a floating head and hands. Any idea what might be conflicting? I only have the Minimal ESP installed. 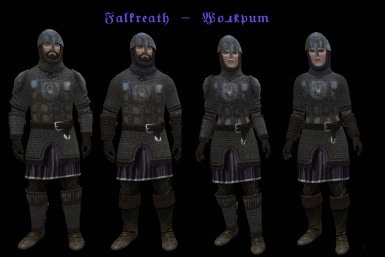 Did you try with this mod below your Bashed Patch? 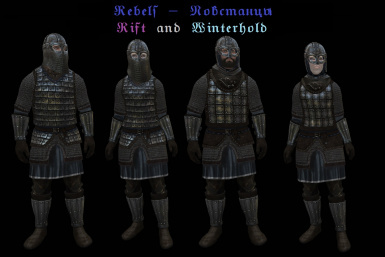 Might be something in the Bashed Patch that is screwing up the armor. A bashed patch is made with the program Wrye Bash. Did you use console and select the guard and type resetinventory as mentioned in the sticky above? Thank you! Couldn't even think the translation is the cause to this problem. Thank you so much. Now it's working fine. 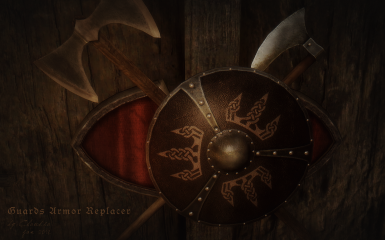 One of the finest and most thorough appearance mods on the Nexus, and I have been modding for years with gigs of LE and SSe textures, nifs and enhancements. 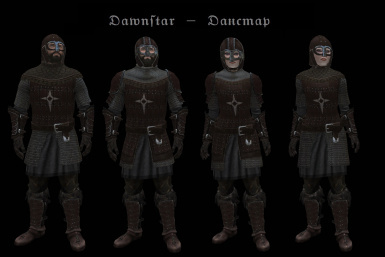 This type of mod is why the Skyrim modding community is so vibrant. I worked on this a similar project for a while, and you exceeded even my fantasy wish-list. The style, color choices and details are all superb. Nothing reused from the base game - all superb, original and inspired work. 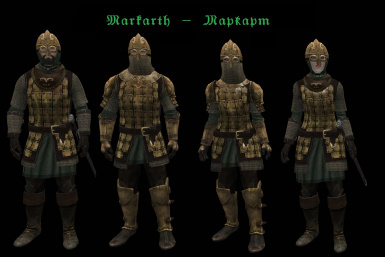 I also want to praise and encourage you, knowing how much work behind the scenes it was to design, model and texture all the various "uniforms", each unique and yet all within the same era/genre. Finally, I see some technical problems raised earlier by others. 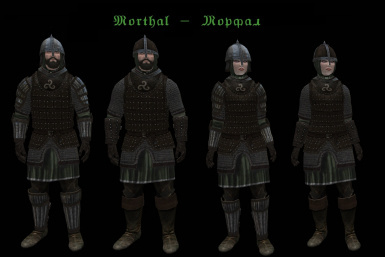 As of version 5.5 there are no discrepancies in the armor weight/rating. 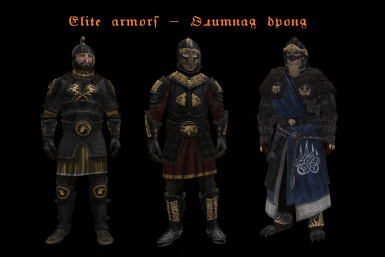 Using an additem script-mod to open the entire esp and grab gear in-game -- each and every armor article along with the values appear to be relatively correct and balanced. It's possible I missed one or two things, but it looked fine. My most sincere and deep thanks. You made my month. This will always be first place in future load orders. To modders/gamers with any issues. DanielUA says to load it LOW in the load order. He means this: really really low. If its not basically last, it can quite easily get screwed up or overwritten. 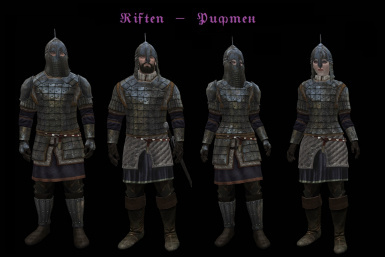 is this compatible with immersive armours ? 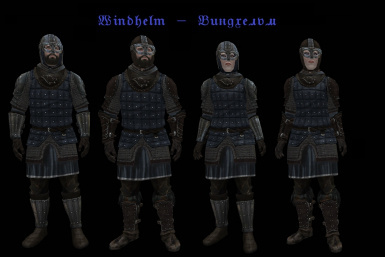 I am using immersive armors and haven't had any issues. 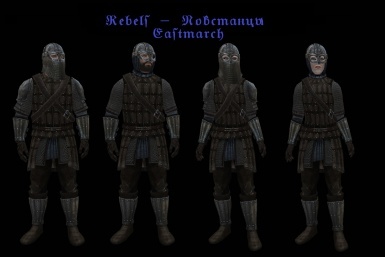 it works fine for me with IA, the only down side is that some NPCs don't get the IA armor, like Ralof for example, he doesn't get his heroic stormcloak armor anymore but a regular rebel armor, pretty much like in vanilla. 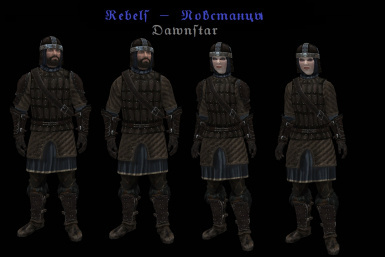 This is a wonderful mod, looks amazing and fits quite well with the nordic theme, I'm enjoying it lots. I did however came across some "problems" if you can even call them that..
a) the most notorious I found, as stated by others, is that the heavy gear has a lower defense rate than the light gear. this is the only significant thing I found. d) the compatibility patch works perfect but I'd argue an adition for Immersive Armors might be nice, as others pointed out. thx so much for you work mate. 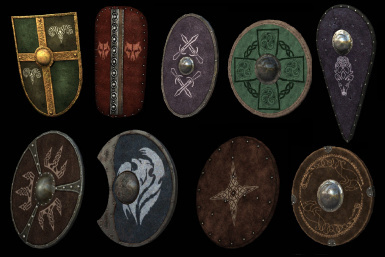 Any chance we can get an ESP that removes the use of the new shields? 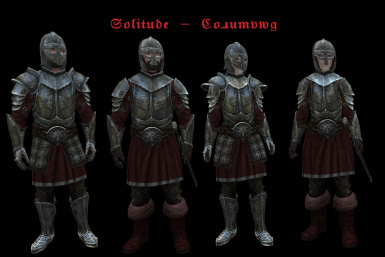 I would like to use CC's Shields with this Armor Replacer.